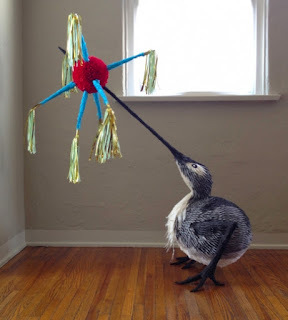 Via Dangerous Minds, we find ourselves regaled with the sculpturally elegant and fantastical piñatas inspired by the monsters and chimera of Hieronymus Bosch of south Texan artist Roberto Benavidez. All connoisseurs would of course perish the thought of assaulting any of these exquisite papier-mâché creations with a bat. View more of the artist’s gallery of works at the links above.